Since Restaurant Week has ended, I thought I would give a recap, and some details on my fourth and final meal. On Sunday night, I ate at the View in Oakdale, New York. 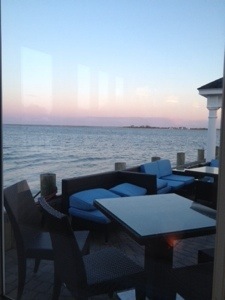 As the name implies, the views of the Great South Bay were quite impressive. 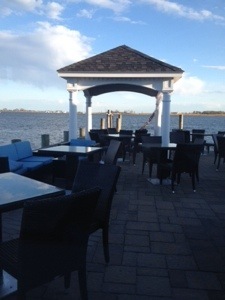 The drive to the restaurant was also enjoyable, as you make your way along a peaceful road that runs by the water, and admire the nice houses until you reach your destination. The restaurant was crowded with people taking advantage of the beautiful spring sunset, and the final night of Restaurant Week. This place had a fantastic seafood menu, and since it was my first time at this restaurant, I was eager to try the food. 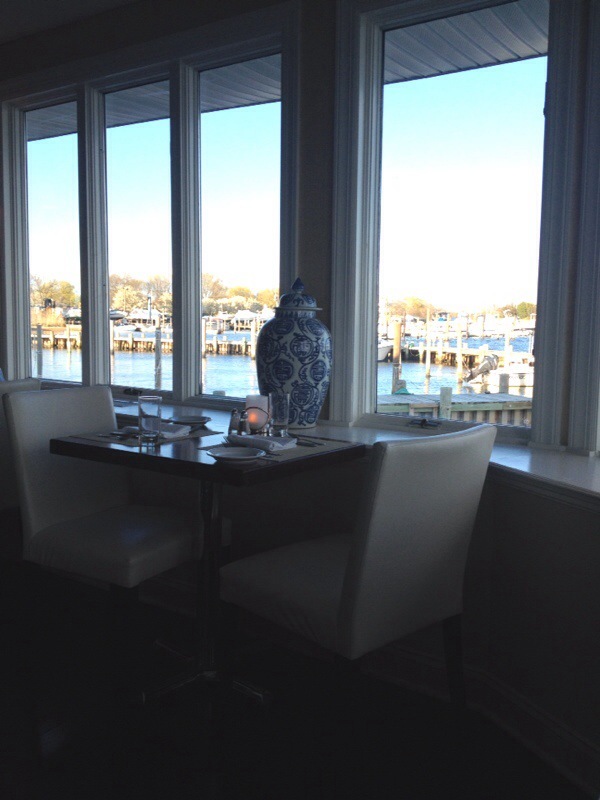 Inside, the setting and table by the large picture window overlooking the bay were splendid. In terms of location, this restaurant could not be beat. The service was prompt, and the Restaurant Week menu had no shortage of delicious items to choose from. I decided to have the Caesar salad for my appetizer and the pan roasted diver sea scallops as an entrée. I love scallops, and when prepared well, it’s a real treat! For me, the portions were just right. They were still ample, but allowed me to eat my appetizer, entrée and dessert. 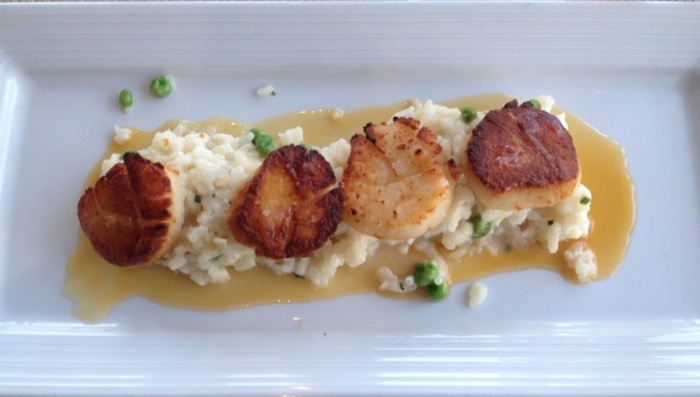 The four scallops were perfectly cooked, and went well the Montauk lobster-white truffle risotto. 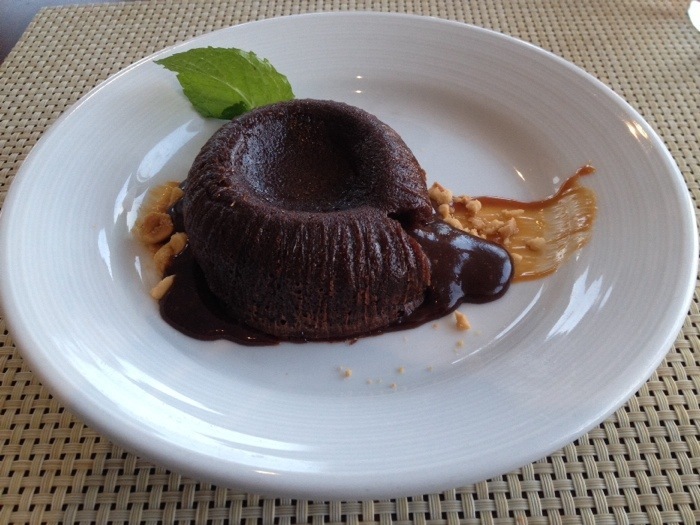 The pièce-de-résistance was the dessert – a peanut butter valrhona chocolate bomb. As the name might suggest, the warm cake was oozing with chocolate and was the perfect way to end the meal and thus, Restaurant Week. Overall, I ate at four restaurants in the course of a week, three of which I had never been to before. I enjoyed each meal for different reasons – some won me over with their ambiance and charm, while others for the prompt service I received. I have some new restaurants that will be joining my list of tried-and-true favorites, and I am so thankful that Restaurant Week continues to be a fun and exciting way to get out and explore all the wonderful places Long Island has to offer. For now though, it’s back to the gym and to my home-cooked meals for dinner! what an absolutely stunning restaurant! Thanks Molly! It was a great experience!